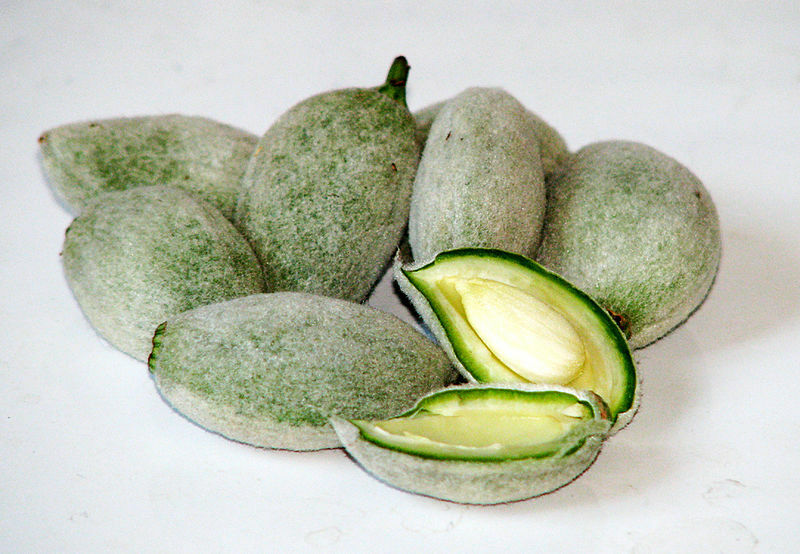 Speaking of green, the fruit of the almond tree starts off as a green fruit surrounding a hard woody shell and inside this is the tasty snack we all go nuts for (haha okay I’ll stop). Fun fact: The almond tree is native to the middle east and every wild almond species found there is toxic. 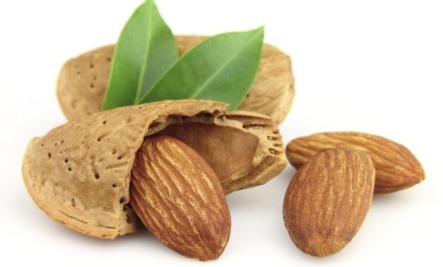 Thats right, wild almonds contain traces of hydrogen cyanide and eatinf even a few dozen in one sitting can be fatal. The almonds that we all know and love are a domesticated form, speculated to be a mutation that lacks the toxicity of it’s wilder cousins. Apart from their cousins whose benefits can pretty much be summed up to death, tasty non-cyanide filled almonds are really, really good for you. Almonds are nutritionally dense and a great source of Vitamin E, Vitamin B, essential minerals, folate and dietary fiber among other essential nutrients. As a skin care product, almonds are a great source of vitamin E to protect the skin from damage and emollients which can potentially help with conditions like acne and other skin related diseases. In keeping with the theme of healing and skin protecton we use almond extensively in our Egyptian cucumber hydration cream as well as our green nile body balm, formulated to sooth, protect, and repair damaged skin. Also from the Jewel of the Nile line that contains almonds is the entire Cleopatra product range. Specially formulated for the more sensitive among us it is unscented and good for especially delacate skin. Psst…Don’t tell anyone but we’ve got sales Here! Previous Post WTF is… Flax Seed Oil?! Next Post WTF is… Apricot Oil? !